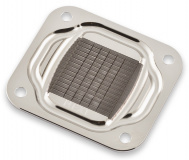 Water blocks for socket 115x or AM3 include a steel back plate with silicone insulation to stabilize the CPU region of the motherboard. Socket 2011 motherboards already include a back plate as part of the CPU socket, therefore no additional back plate is required. 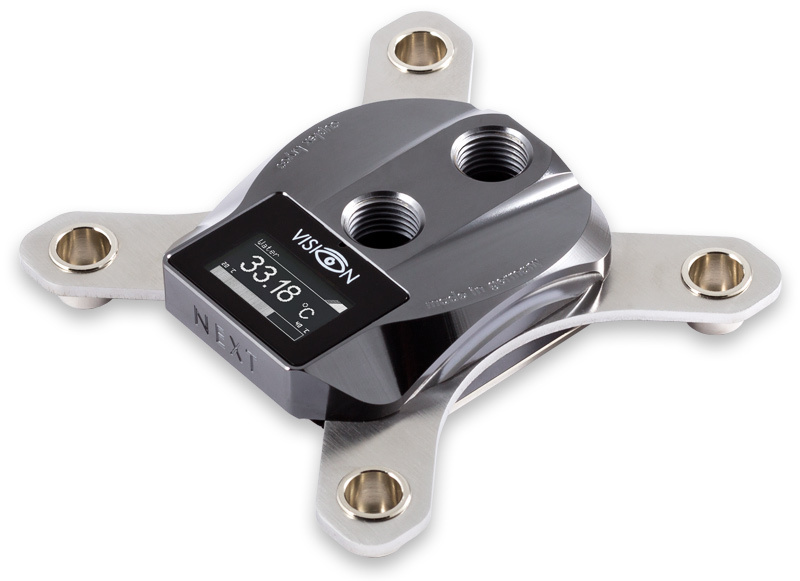 The geometry of the base part of cuplex kryos NEXT VARIO variants can be adjusted using four adjusting screws on the sides of the water block. 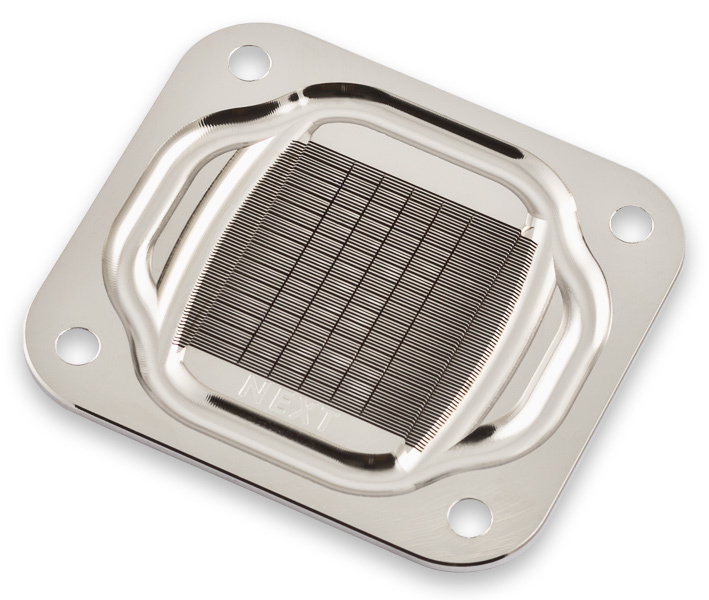 Each CPU is unique - even slightest variations in height or shape of the metallic lids on top of current CPUs affect cooling performance of a water block considerably. 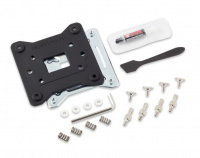 Prior concepts to adjust the geometry of water blocks always required the water block to be disassembled and then reinstalled onto the motherboard, requiring significant time and effort. With the cuplex kryos NEXT VARIO, the geometry is perfectly adjusted in just a few moments. 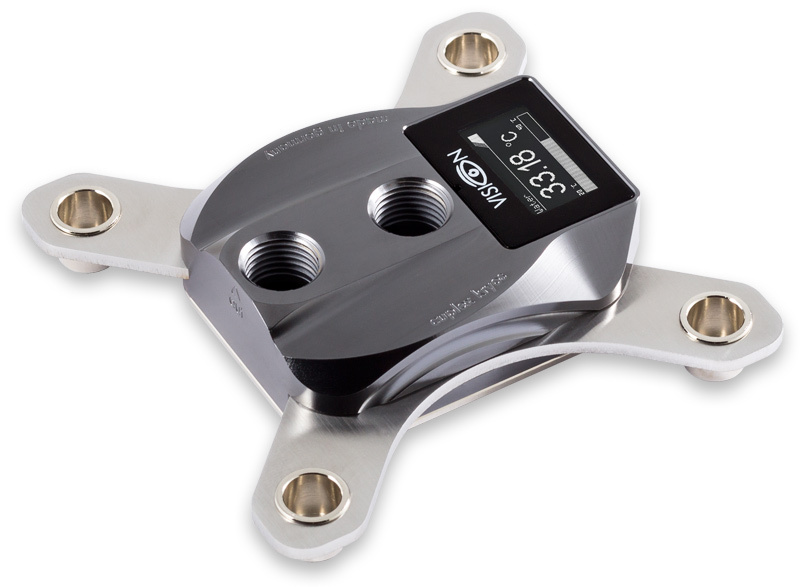 While monitoring core temperatures at maximum CPU load, simply change the geometry using the four adjusting screws. Temperature changes provide an immediate feedback, the perfect setting is quickly identified. This product contains a license for the current version of the aquasuite software and for the following annual version. Please note that an internet connection is required for the installation and activation of the software. Further information about the licensing and activation of the aquasuite software can be found here. This product was added to our catalogue on Friday, 28. October 2016.